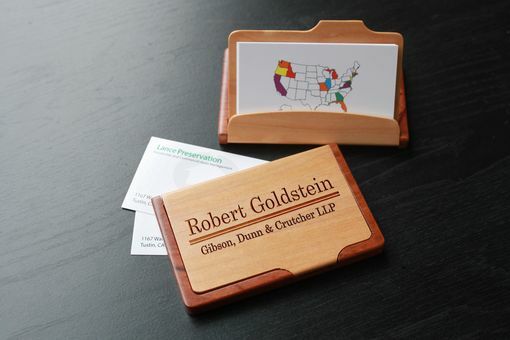 Show off your business cards in style with this professional two-tone wooden business card holder. The base has a deep cherry finish, which is offset by the maple finished cover. Our personalized maple & rosewood business card holders are engraved with with great precision and detail. These make the perfect gifts for any special occasion, especially for graduation, birthday and Christmas gifts. This cardholder opens to display your cards and does not lock when closed. Everything was almost too easy! I submitted my designs, approved my proposal, and later that day they were being shipped. The best part about the whole thing... they look great!